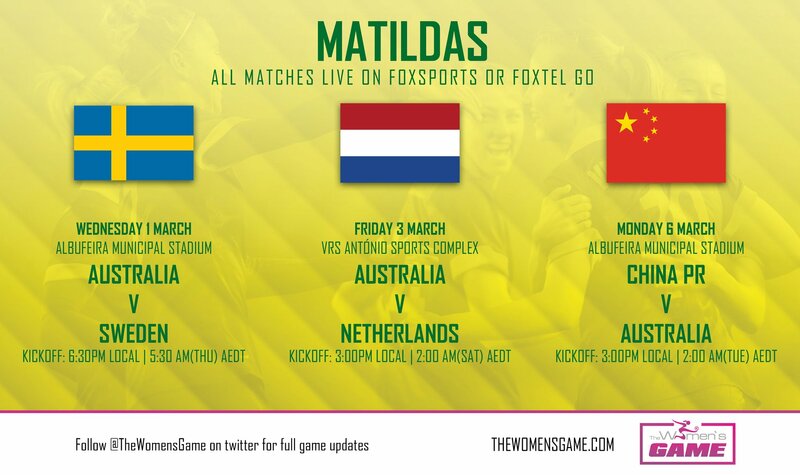 After reportedly rejecting an FTA offer, the Algarve Cup will be shown on Foxtel. SOUTH Melbourne says it can provide a professional women’s set-up to match all other W-League teams in the country. Football Federation Australia (FFA) will this week begin the detailed work with Hyundai A-League /Westfield W-League clubs to develop a new ownership and operating model for both leagues. WA Football Commission chairman Murray McHenry has declared the State’s football financially better off despite a $4 million dip in revenue derived from Domain Stadium last year. AFL development boss Simon Lethlean looks certain to take over the game’s football department in the coming days following Mark Evans’ departure to the Gold Coast. Gold Coast have denied claims the AFL installed Mark Evans as their new CEO to improve the club’s management. Caroline Wilson writes that Evans appointment is the latest move to getting the Suns back on track. WESTERN Bulldogs football manager Graham Lowe is set to depart the Kennel during the early rounds of the club’s premiership defence. Lowe is leaving the Dogs in early April in search of more balance between family and work, and to pursue high-performance leadership consultancy. He will be replaced by Bulldogs coaching manager Chris Maple. RICHMOND’S board reshuffle has continued with the Tigers filling their two casual vacancies. Former Hay Group (Pacific) managing director Henriette Rothschild and former SEEK Education managing director Joe Powell have been unanimously accepted after recommendations from a nominations committee. Port Adelaide president David Koch has told the Gold Coast Suns if they wear red-and-gold jumpers in their match in Shanghai, it will be the last time they are invited to China. NEW GOLD Coast chief executive Mark Evans has fired back in the slanging match with Port Adelaide, boldly declaring the Suns will wear their home strip when the clubs clash in a historic match in China. Todd Greenburg has told the ABC that the game has only been operating at 75 per cent and needed to do better. After four years as head of strategy and investment for the NRL, Andrew Fraser has decided to resign, citing the pressure of commuting from Brisbane. Nick Weeks has been appointed deputy chief executive of the NRL, or more specifically, chief operating officer and head of integrity. He will take responsibility for the following divisions – strategy, broadcasting, community, government, legal, HR and responsibility for dealing with the RLPA. Crown Resorts will sell its flagship golf courses and axe sponsorships of the nation’s top rugby league teams and sporting stars, including former Australian cricket captain Michael Clarke, as its billionaire owner James Packer makes dramatic cost cuts across the casino group. Crown’s sponsorship of the South Sydney Rabbitohs and Melbourne Storm NRL teams has also been abandoned as part of the review.